Heaven Hill Distillery Master Distiller Parker Beam passed away in January 2017 after a long battle with ALS, the disease commonly known as Lou Gehrig’s disease. Though he’s gone, his memory and spirit live on with the release of the 12th Edition of Parker’s Heritage Collection Limited Edition Kentucky Bourbon Whiskey. The annual release of Parker’s signature line is one of the most highly anticipated bottlings for Whiskey and Bourbon lovers worldwide, as the collection produces an innovative, highly sought after bottling each year and now serves as a remembrance of the collection’s namesake. Parker’s Heritage Collection was originally conceived to showcase the extraordinary quality and broad range of Heaven Hill’s American Whiskey holdings. The 2018 edition was aged for seven to eight years in the upper floors of Rickhouse Q and then aged for an additional four months in barrels that previously held French orange curaçao liqueur. The orange curaçao finished offering is the second barrel-finished Bourbon in twelve years of the annual Parker’s Heritage Collection series. Master Blender Alain Royer, who helped to finish this years release, also partnered on a previous edition which featured a Cognac finished Kentucky Straight Bourbon Whiskey. The late Heaven Hill Master Distiller Parker Beam, for whom the acclaimed series is named, was diagnosed with Amyotrophic Lateral Sclerosis (ALS) in 2010. The past five editions from 2013-2017, including the “Promise of Hope” Bourbon, the “Original Batch” Straight Wheat Whiskey, the Kentucky Straight Malt Whiskey, the 24-Year-Old Bottled-in-Bond Bourbon, and the 11-Year-Old Single Barrel, respectively, have raised over one million dollars toward ALS research and patient care through contributions made by Heaven Hill for each bottle purchased. 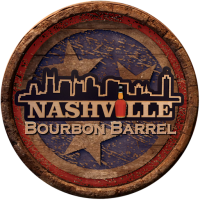 Heaven Hill will continue with this cause-related campaign, and will again contribute a portion of the proceeds from the average national retail cost of $89.99 of each 750ml bottle sold of this year’s release to the ALS Association. With every past edition of Parker’s Heritage Collection quickly selling out, the company expects to continue to generate significant dollars for this effort in Parker’s memory. The 2018 12th Edition of Parker’s Heritage Collection Limited Edition Kentucky Bourbon Whiskey is bottled at 110 proof (55% abv) and non-chill filtered to preserve all the flavor compounds, the orange curaçao finish lends a unique flavor that complements the Bourbon without overpowering it, creating an entirely new and elegant tasting experience.